How to Eat an Entire Block of Tofu in One Sitting. I wanted to eat something nice and breakfasty for breakfast, so I decided to make a tofu scramble. I followed the directions for the basic tofu scramble at the Post Punk Kitchen. I didn’t put any other vegetables in with the tofu (because I don’t have any), but I did include all the spices. It was easy, quick, and pretty fool-proof. Next time, I will put way less salt in, if I add any at all. The scramble tasted very salty with one teaspoon of salt added. I’d go with 1/4 teaspoon, or less. Even though it was a tad too salty, I ate it. I ate it with a fierce hunger. I ate the whole thing. By myself. 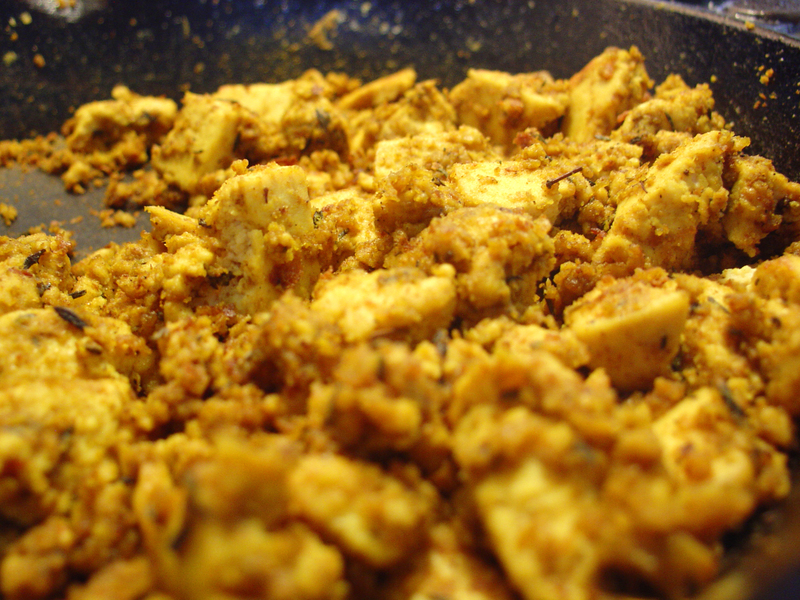 The recipe says that the tofu scramble is four servings. And the Pumpkin Continues. 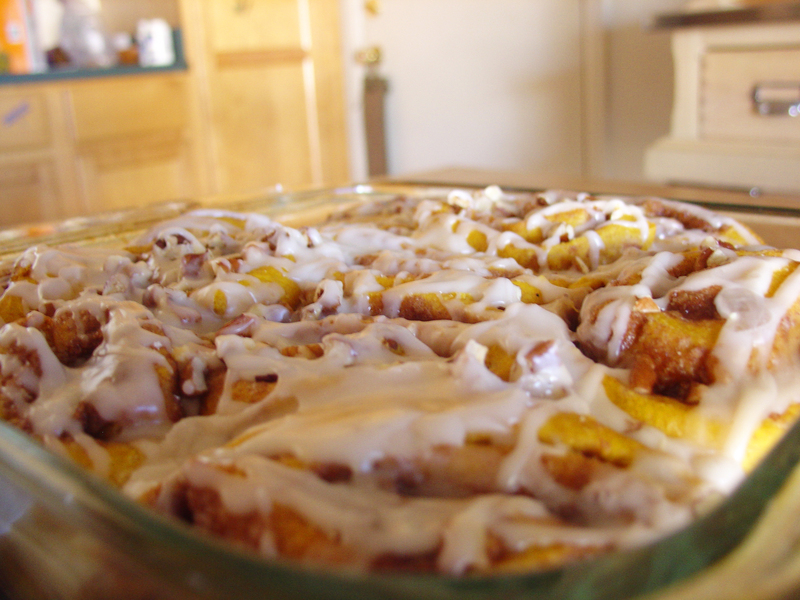 This Time in Cinnamon Roll Form. 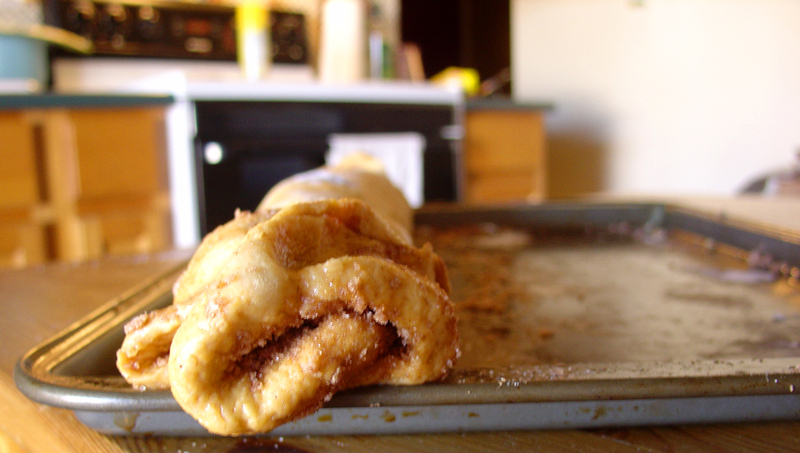 I have never made cinnamon rolls, and when I looked around the internet, everyone talked about how long it took. Today is my first day off work for Winter Vacation, so I decided to wake up early and give these pumpkin cinnamon rolls a try. One of the few things I changed from the original recipe is that, instead of 2.5 cups of all purpose flour, I used 1.5 cups of all purpose and 1 cup of whole wheat pastry flour. I mixed the pumpkin, sugar, melted Earth Balance, and soy milk together. It looked kind of gross, but made it easier to pour into the yeasty water when it was time. I set the bowl of dough on the counter directly in front of the space heater. I didn’t want it to get too close so that it would get too hot, but I needed it close enough that it would benefit from the heat. I think it pretty much worked. 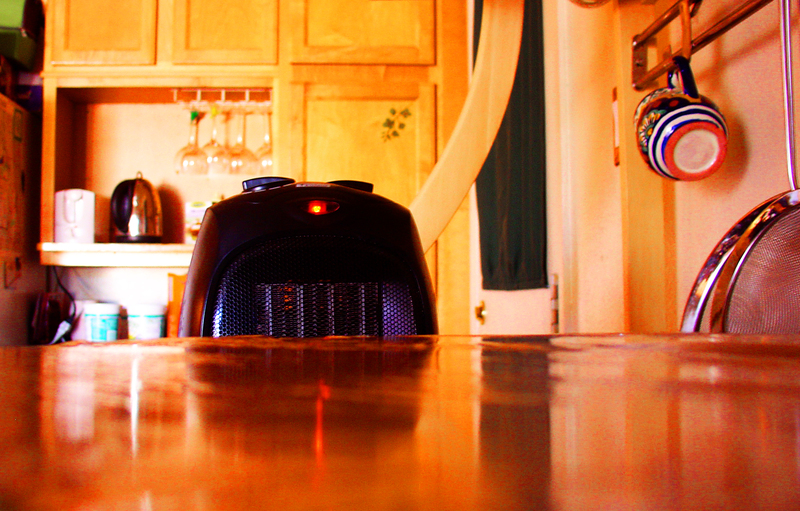 Unfortunately, the space heater came alive with an ominous glow. It demanded that I give it the cinnamon rolls, or pay the price. I refused, and we ended up at a stand-off. I won the standoff by unplugging the space heater. Okay. 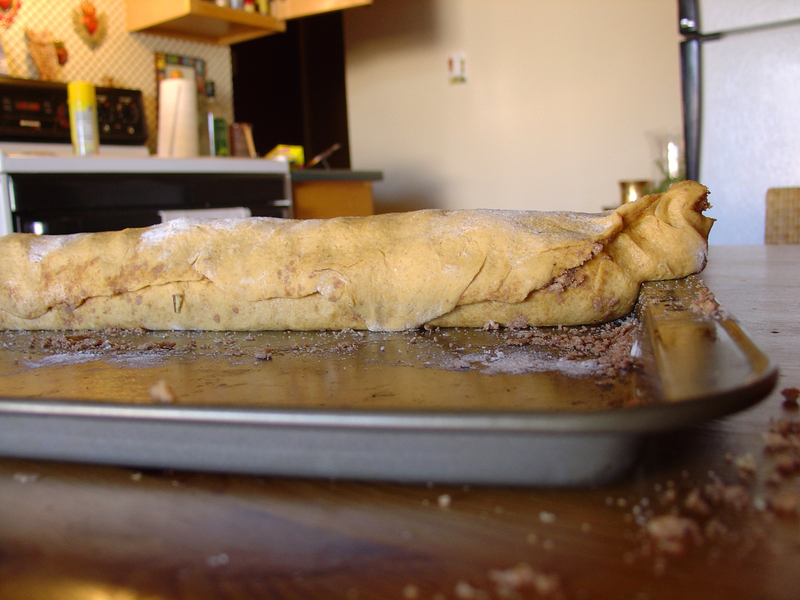 So, anyway, I rolled out the dough. The recipe said to roll it out to be 10×12 inches. 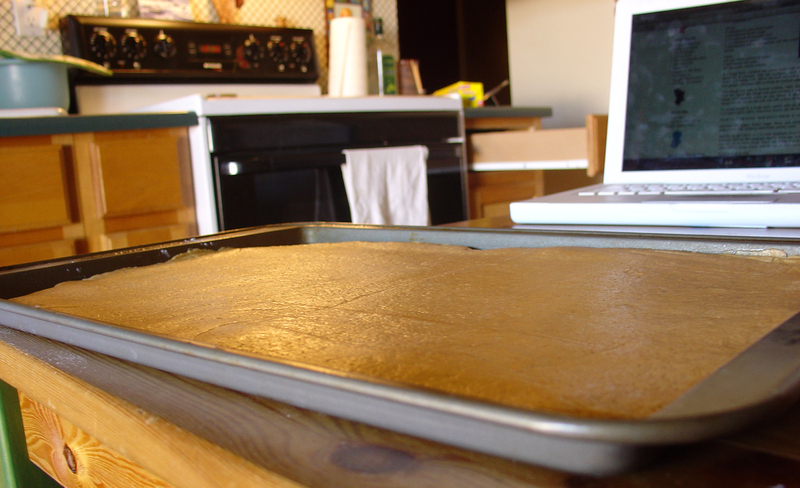 I used a cookie sheet, and just rolled it out to fill up the tray. I don’t know what the size was. Bigger than 10×12 inches, though. On top of the recipe’s filling, I poured some chopped pecans. I’m not sure how much…maybe 1/4 cup or so? You can see the escaped filling. Oh well. I cut it up, and crammed all 13 rolls it into an 8×8 the baking dish. 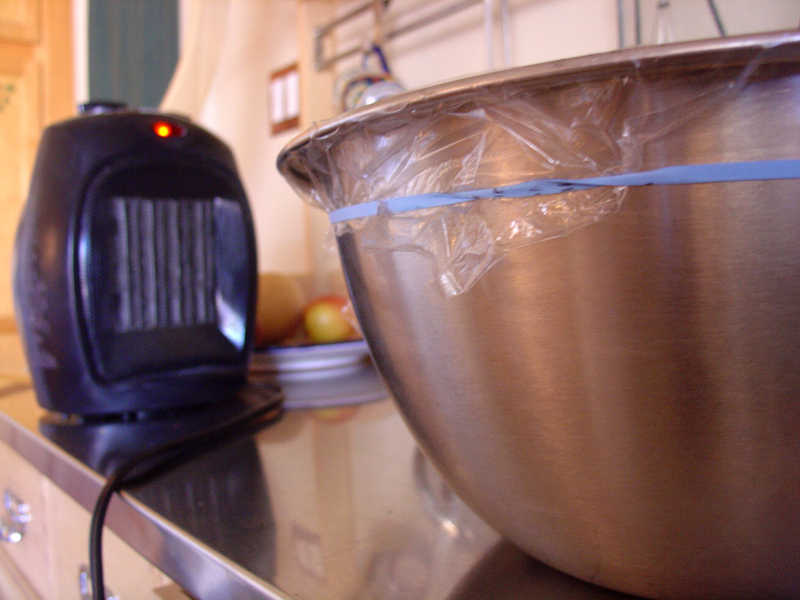 (The recipe called for a 9×9 vessel.) After waiting for the cut rolls to rise some more, I stuck it in the oven. 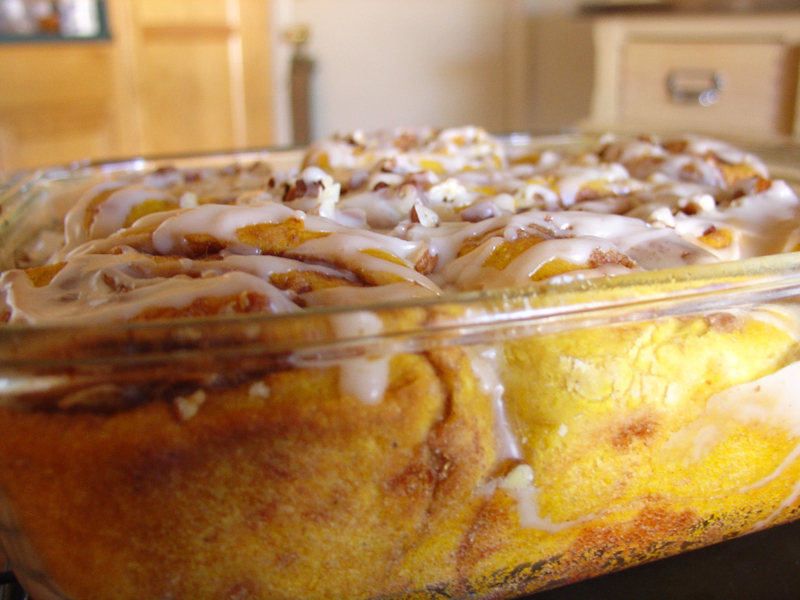 Around half way through the baking, I sprinkled some more pecans on top of the cinnamon rolls. 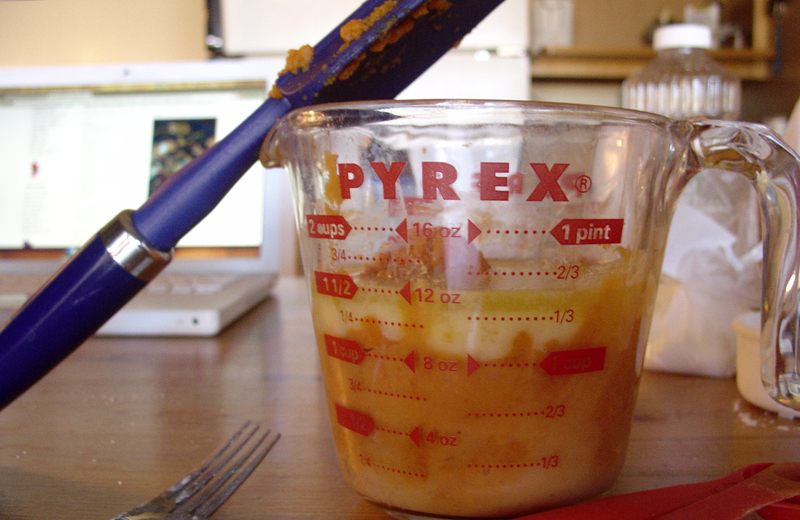 It was about two tablespoons worth, or so. When they were glowing orange, and the sugar inside the rolls was melted and bubbly, I removed the baking dish from the oven. Then, I prepared the icing for the top, and poured it on. You can sort of see in this picture how bright and orange they are. 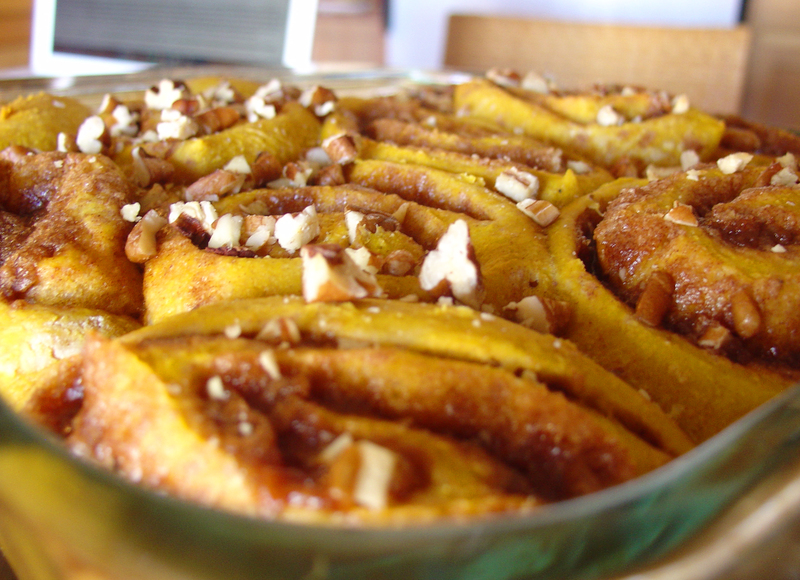 The pumpkin flavor is not very prominent, but it gives the cinnamon rolls a vivid and enticing pumpkin-orange color. I love it! 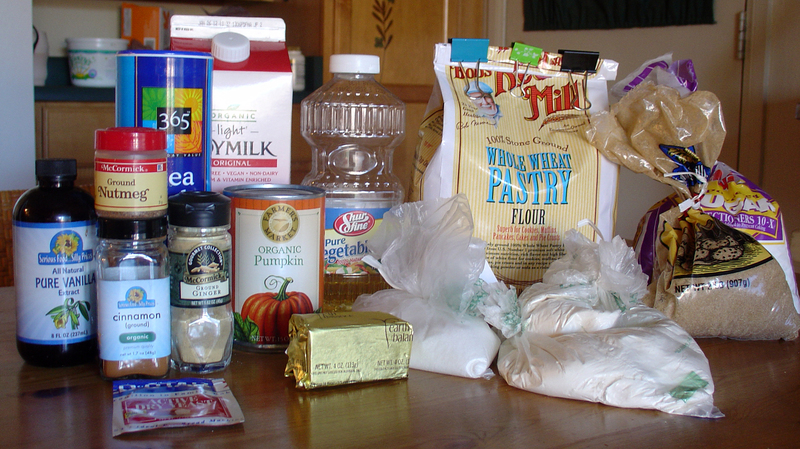 If I baked them again, I would increase the percentage of whole wheat pastry flour, and perhaps add a bit more pecans. But, both of those are just superficial changes. These are perfectly amazing as they are. I’m hoping to freeze some of them (if I can stop eating them long enough to wrap and put in the freezer…) That way, I’ll have amazing cinnamon rolls any time I want, without having to go through a three-hour long process.